Chad completed his undergraduate studies at Stetson University and earned his medical degree from the West Virginia School of Osteopathic Medicine. He completed his residency in Obstetrics and Gynecology at the San Antonio Uniformed Services Health Education Consortium in San Antonio, Texas. Dr. Abbey joined Billings OB-GYN Associates in July, 2015. 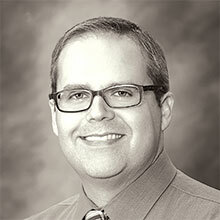 Dr. Abbey was born and raised in Billings. He and his wife Michelle have two children. After a long military career, Dr. Abbey is excited to return to Montana. He enjoys spending time with his family, traveling and outdoor activities especially fishing with his two sons.